Print 3D objects and let biological cultures grow! 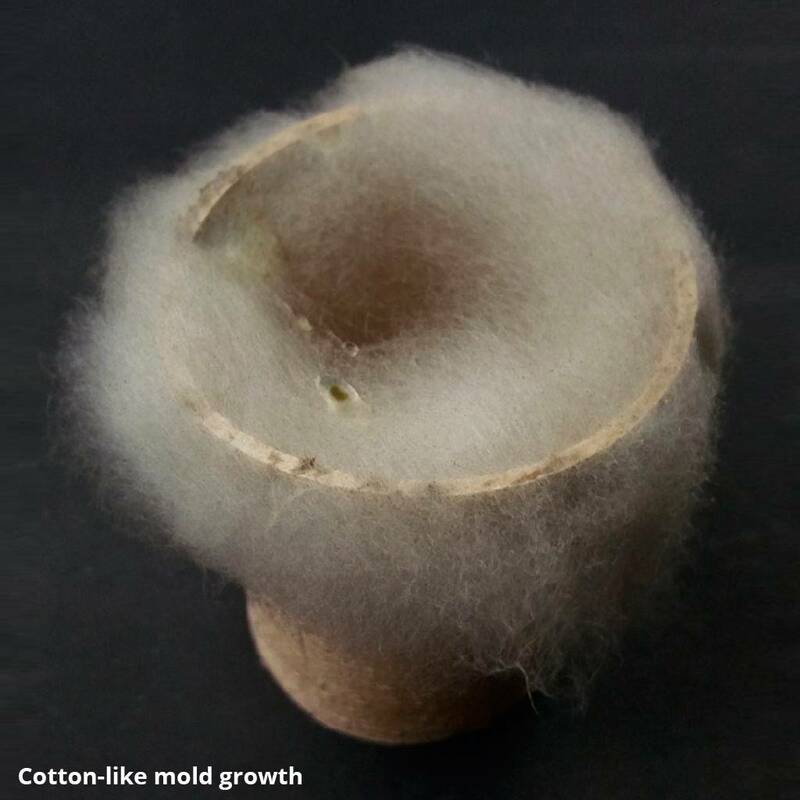 Add seeds or spores to them and they will grow. 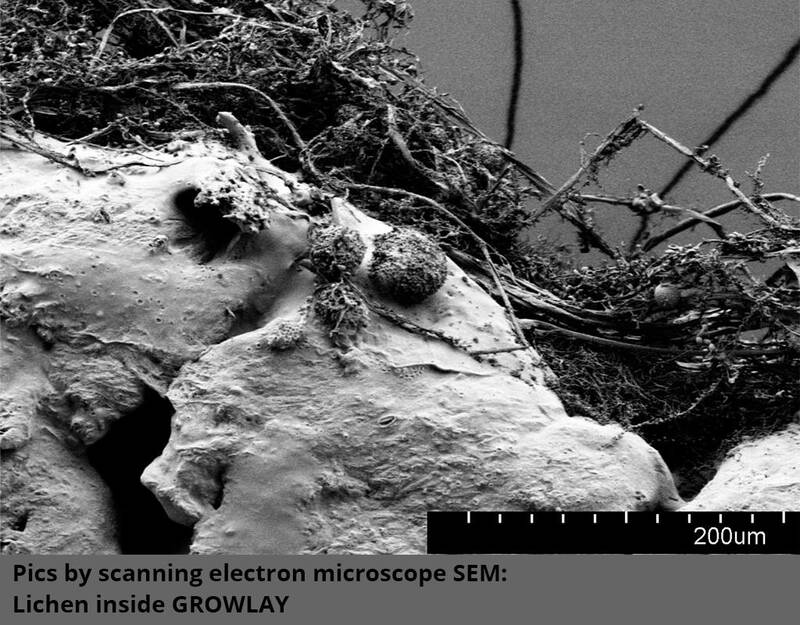 GrowLay can be used as a basis for a variety of organic substances. It has more tensile strength and rigidity than the white version. 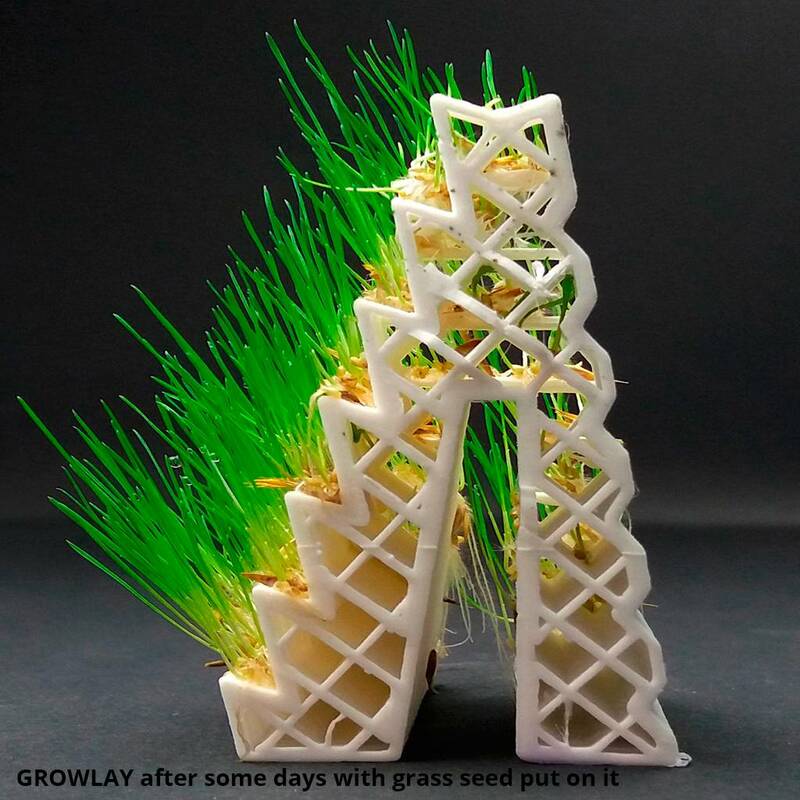 - GrowLay white: it is an experimental filament, 100% compostable. 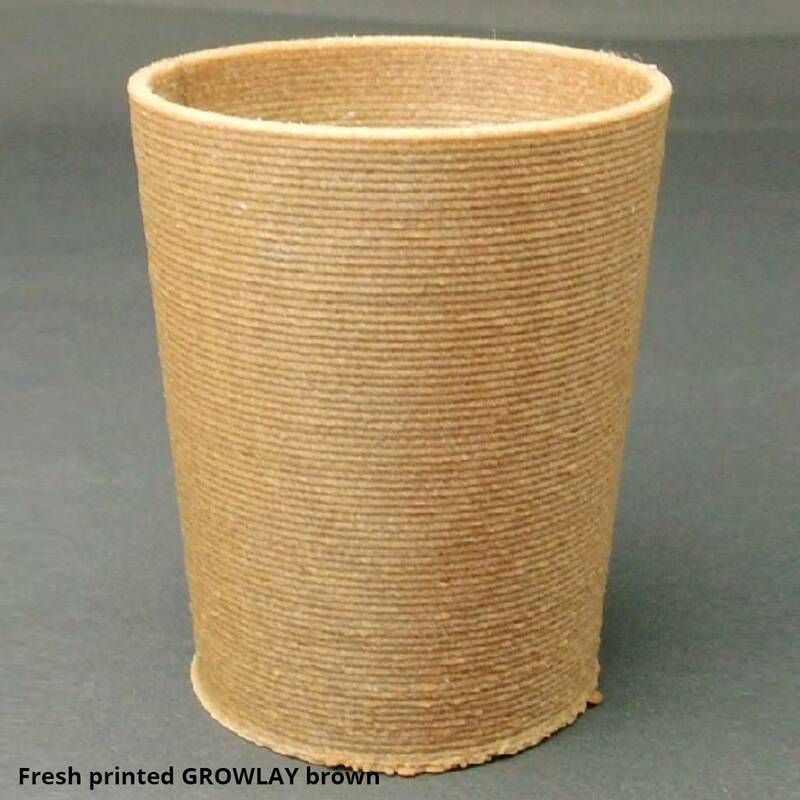 - GrowLay brown: this version has wood particles, not compostable. It is recommended where greater long term stability is required. 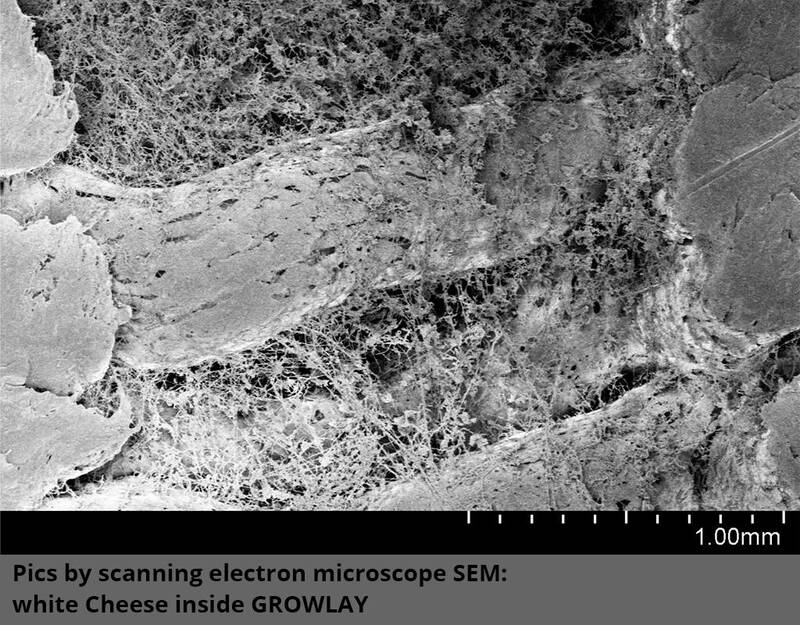 GrowLay brown contains not only pores but also built-in "food" in the form of cell material which is needed for growth. 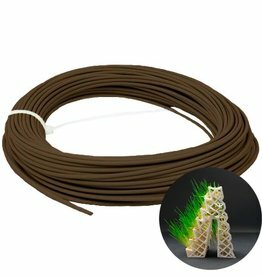 Special filament with wood particles in brown color. 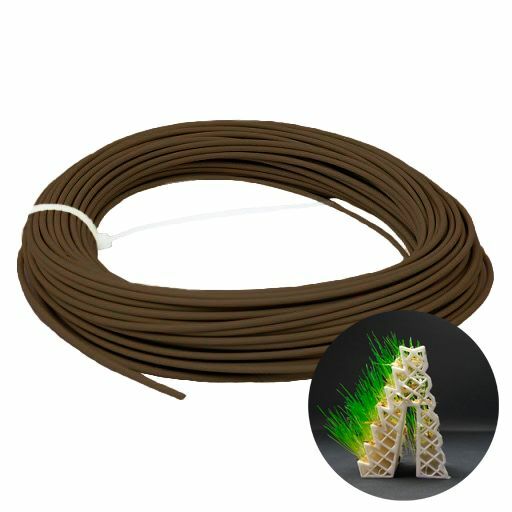 The filament can be printed just as easily as Lay-wood. GrowLay can be sterilized (for food use and research), it is suggested either a liquid or gas method, thermal sterilization is not possible. 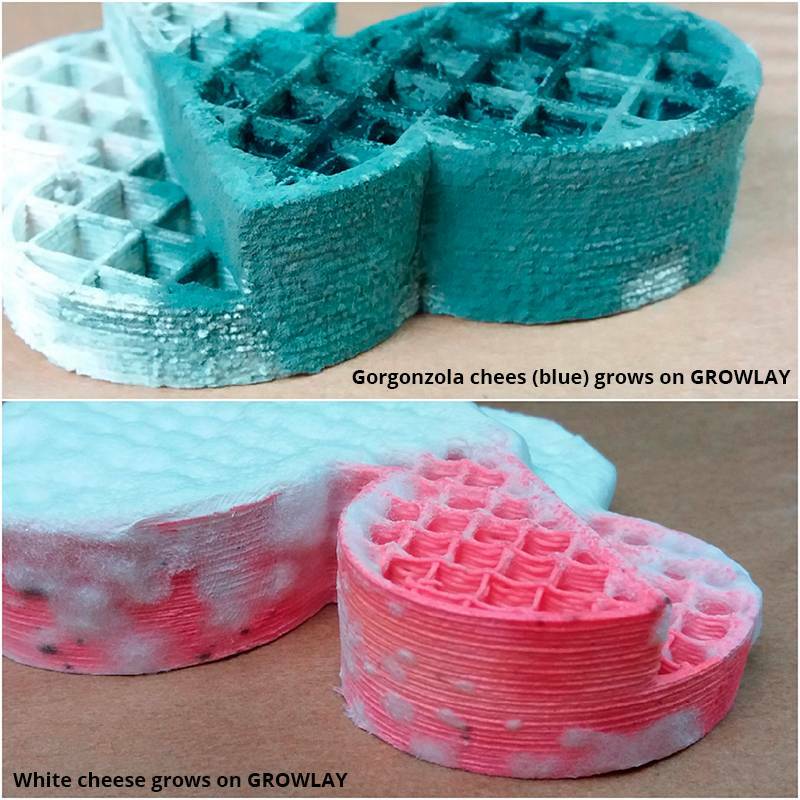 GrowLay can be very brittle in the filament form. Handle with care. Hydroponics, Biological cultures, 3D-gardening, Pharma cultures. 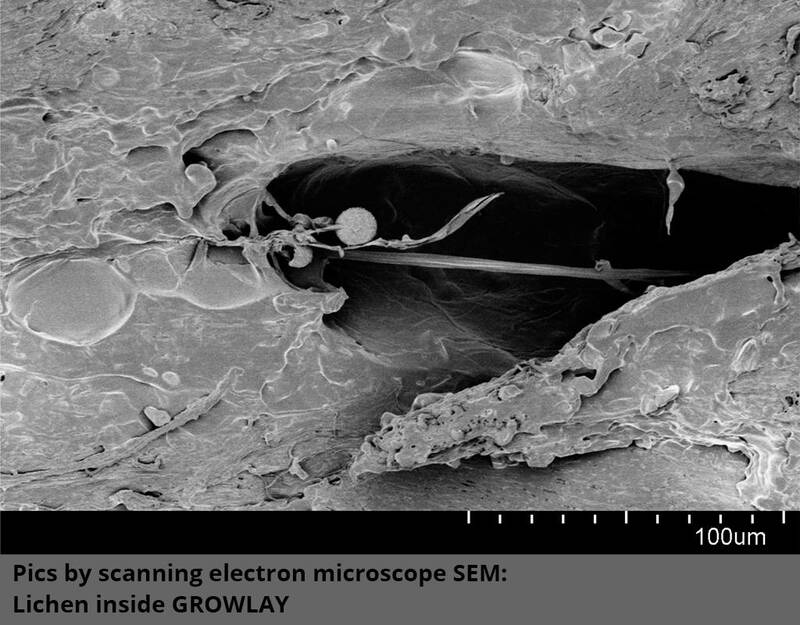 Spores find room to germinate in small cavities. 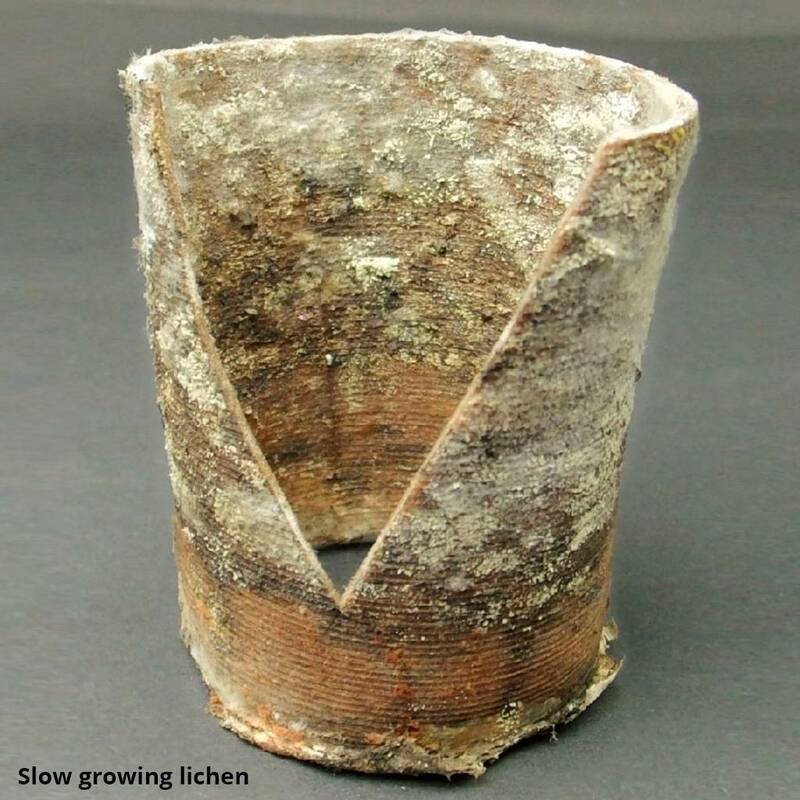 Even lichens grow on GrowLay.